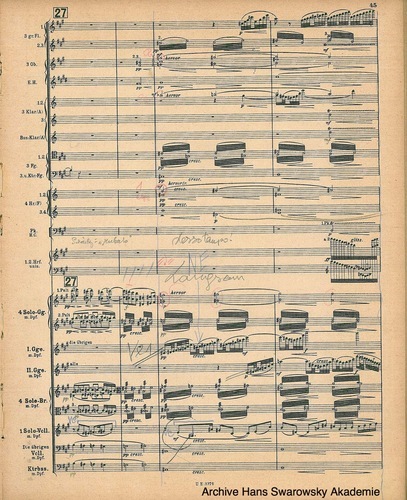 of Pelleas et Melisande, with annotations resulting from Swarowsky's studies with Schoenberg and Webern. 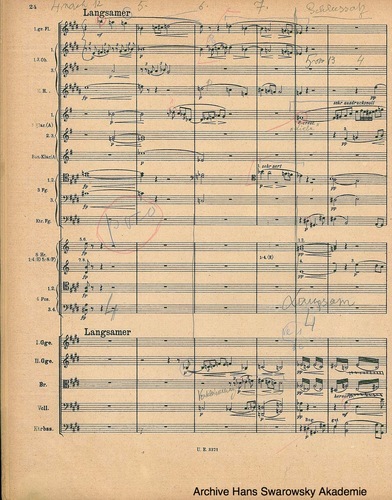 Swarowsky meticulously marked in his scores any comments received by composers, often also performance dates of works. 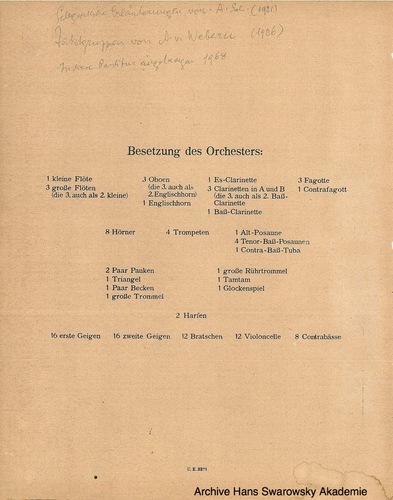 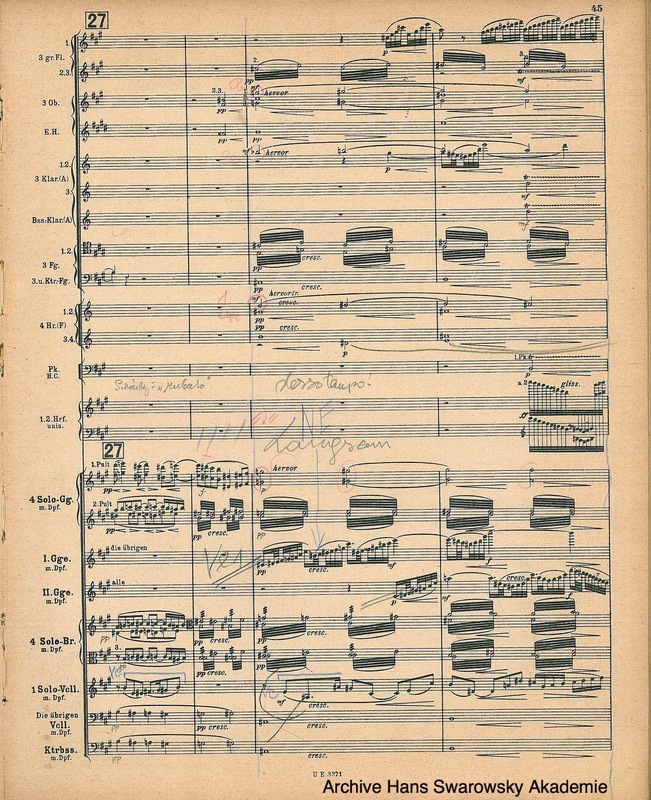 The note on the cover page says that this score contains comments from Arnold Schoenberg from 1921 and a bar group analysis from Anton von Webern from 1926. 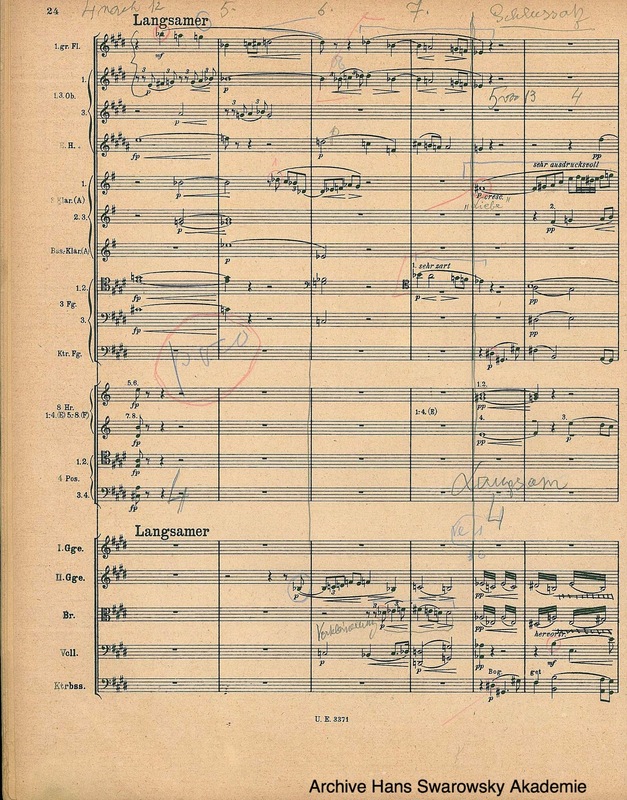 All comments have been copied into this score in 1968.